Some articles ask for a password. How do I access the MIT Libraries' licensed copies of articles that I find via Google Scholar? 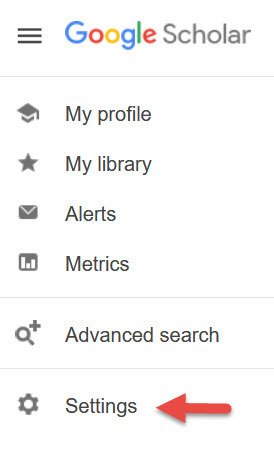 Before you search Google Scholar, you must select a library in the settings menu. 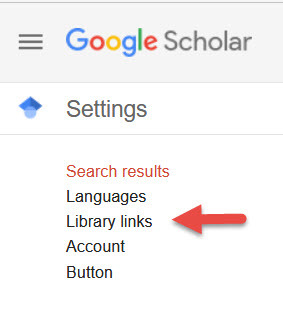 Once you set and save your preferences, you will be able to link to library resources retrieved with a Google Scholar search. 1. 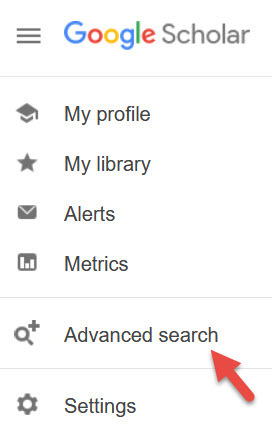 Click the menu icon on the Google Scholar page. 4. Type "MIT" into the search box, click the search icon, select MIT from the results list, save your selection. 5. Now you're ready to search. In the search results look for the MIT full-text link. You can also see the number of times an article has been cited in Web of Science. Click the link and you will arrive on the Web of Science page that lists the citing articles. 1. Why does the "Full Text - MIT Libraries " link appear next to some items and not others? Google Scholar displays this link after comparing the citation to our list of electronic subscriptions. Keep in mind that Google Scholar does not know when we have the print version, nor can it match an incomplete citation. So if the item is not available for free via the web, be sure to search our catalog, Barton or Vera: e-journals & databases to see if the MIT Libraries own that title. 2. Is everything in Google Scholar free? No. Google Scholar includes many citations that link directly to publishers' web sites of which most will charge a fee for access. However, the MIT Libraries subscribe to many of these publications for the MIT community. 3. How can I get the full text through the MIT Libraries' subscriptions? 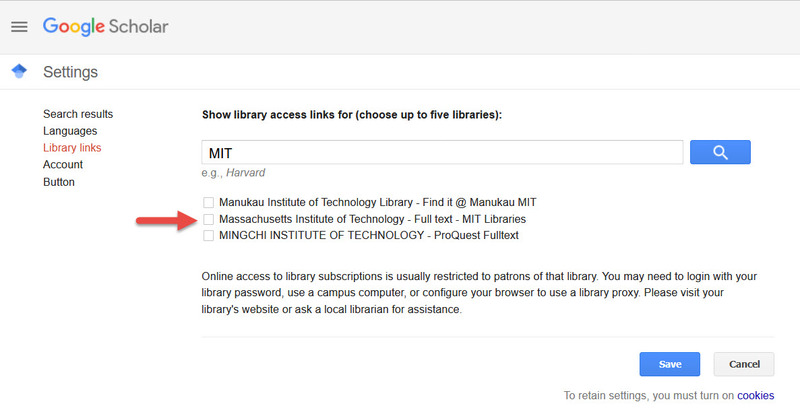 The Full Text - MIT Libraries link should be your first choice. If this link is not available, try other links that are displayed, as Google Scholar may find several sources for the same citation. When you are unable to find free access to full text through Google Scholar, use the appropriate resources at the MIT Libraries, including: Barton, Vera, and Ask Us to get access to the title. 4. How comprehensive is Google Scholar? Google Scholar searches open access materials, including DSpace, as well as items from many publishers, including some of the resources to which the MIT Libraries subscribe. However, Google Scholar only searches a fraction of the published scholarly literature. Use Vera to search one of the many databases covering scholarly publications. Some of the subject specific databases are ABI/Inform, Compendex, EconLit, ERIC, INSPEC, and Medline. 5. How do I search by author, or limit to certain publications or dates? Use Advanced Scholar Search which allows for author, publication and date range searching. 6. What about citation searching? Google Scholar provides forward citation searching, automatically extracting and displaying works cited as separate results. For backwards and forwards citation searching, use Web of Science available from the MIT Libraries through Vera.